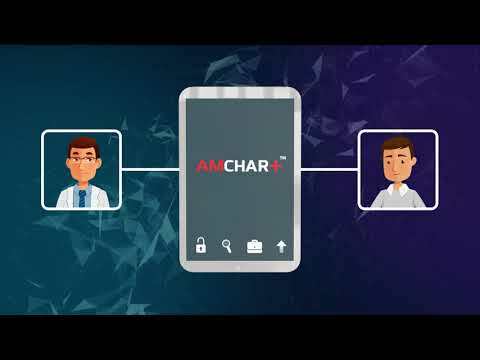 AMCHART is a patient driven EMR on a public/private blockchain with AI for analytics and incentive driven model for better outcomes. The incentive driven model is based on maintenance of health records, wellness program participation, population health, and data sharing with certified partners for analytics and proactive healthcare management. The consensus security is based on Intel SGX chips and running the consensus directly on hardware not only provides extra security but also accelerate transaction times and stabilizes our ability to decentralize the medical record appropriately. AMCHART will be utilizing Ethereum based Smart Contracts and a Hyperledger Sawtooth framework to create a secure pathway to access patient data for both patients and providers. I like the idea of giving patients access and control over their data, the vision is good, product is just an idea for now, not sure if there is more than just a description, $100m, of which $50m is for dev, it's a lot of money and it's not clear how the funds will be used to develop the product. I like the vision and they have an impressive platform team, but would like to see further advisers on the ICO side. But this is one I will keep my eye on moving forward.